WELCOME TO THE WEBSITE OF NATURAL ROOTS AND HERBS. ALL NATURAL ROOTS AND HERBS. CONTAINS NO CHEMICALS OR ARTIFICIAL INGREDIENTS OF ANY KIND. 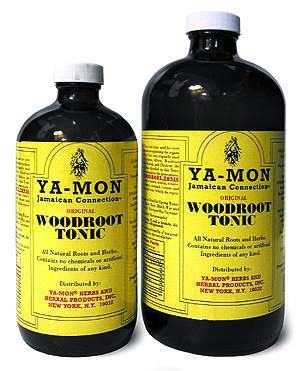 The woodroot tonic has been used for over 100 years for healing and strengthening the organs in the body. Woodroot tonic is good for men, women and children. The Bitters, Herbs and Roots blended in this tonic helps to eliminate the body of toxic poisons, mucus, veneral diseases, cold, asthma, stomach viruses and has been used as a general tonic to help the REPRODUCTIVE ORGANS. IT WORKS. Click on thumbnail to see enlarged picture. WHOLESALE PRICES AVAILABLE FOR VENDORS. Email us for details.